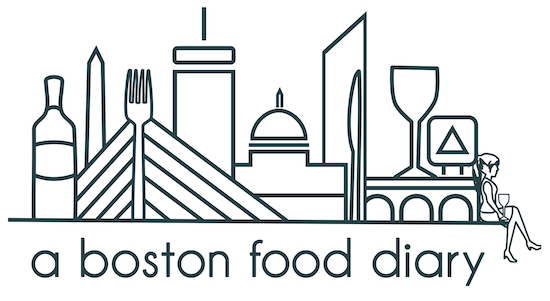 A Boston Food Diary: Fall Party Recap and a MAJOR Giveaway! In place of our normal Monday segment- Locally Featured- I am going to twist things just a tad. This past weekend we hosted a bit of a family shin-dig, a gathering if you will. Of course, for any occasion where people come together, I feel that food is really the most necessary component, so for most of last week, and really the entire weekend, I was menu planning, prepping and cooking a feast for our guests. There is nothing really that brings me more joy than putting together a menu, and this one presented some great challenges for me. I knew that there would be people of all age groups and, since we lack the ability to serve a sit down meal to that many people (chairs are oddly scarce), I wanted the hors d'oeurves that I served to be substantial enough to be considered dinner -ish. This was no easy feat, but I was excited to take on the challenge. I decided to serve a variety of types of foods, from warm, hearty and comforting to light and perfect for picking. I started off with two types of soup, an incredibly comforting Tomato Soup, made with a combination of fresh end of summer farm stand tomatoes, and canned tomatoes for bulk and consistency. I also made a light, yet incredibly flavorful Italian Wedding soup incorporating fresh spinach from the farmers market, and chicken meatballs to keep the dish light, yet truly flavorful. I decided to bring some feelings of Thanksgiving to the party with Thanksgiving Turkey meatballs served with a pan dripping gravy dipping sauce. These were such fun with tons of flavor of apples, cranberries, garlic, sage and fennel. Several remarked that they tasted just like Thanksgiving in your mouth! I decided to make highly indulgent Mac and Cheese in individual servings as well. Many of us present have a shared affinity for Fettuccine Alfredo, so I made a play on this classic dish and mixed it up a little by using mini penne and gemerello pastas, topped with breadcrumbs mixed with lots of parsley, garlic and Parmesan cheese. These were incredibly rich, hearty and delicious! Also-because I made them in individual ramekins...they were awesome for a party! People were able to just grab one and a fork and go to town on a filling snack. To counter the decadence, I decided to serve two lighter dishes as my final "homemade contribution". I brought back my arugula salad with chicken and pomegranate seeds- one of my all time favorite salads, and I recreated my Tuna Salad Boats. This time with the boats thought I changed it up just slightly making the tuna with red onion, grapes and mayo over the bean puree I used last time for a more classic feel. These were a huge hit and another great finger food that was easy to eat while chatting away. We also laid out a gorgeous platter of cold meats from Monica's Mercato in the North End with fresh cut bread for sandwiches, and two different types of dip- my own French Onion (no dehydrated packets of flavor here) and my favorite Ricotta Parsley and Lime dip- sooo cool creamy and refreshing! I will be updating with recipes throughout the week for those items that I haven't previously talked about but today I wanted to kick off a very exciting giveaway!!! The holiday's are on their way (at lightening speed it seems) and because of that I know parties like the one I hosted this weekend will be more and more frequent. 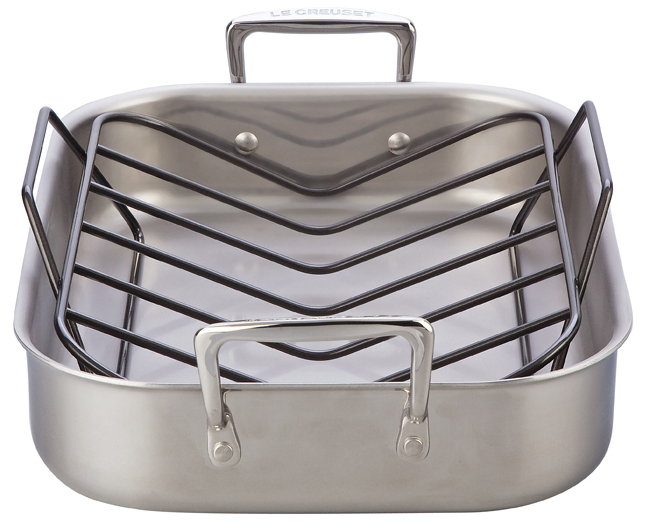 The folks at Le Creuset would like to help out a little by awarding a brand new Roasting Pan with Rack to a lucky A Boston Food Diary reader!!! Le Creuset is the pinnacle of amazing cookware, with their attention to detail and fine tuning of metals-their pieces are of the utmost quality and pieces that are real keep sakes! 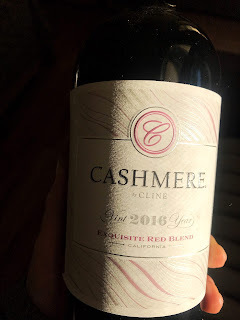 To enter to win this amazing prize please leave me a comment on this entry with your best holiday entertaining story (failures or successes, or just entertaining! ), and I will enter your name into the drawing. Don't worry-all will be fair each post gets an entry, and a random integer will pick the winner! So please post away- I cant wait to award some lucky reader with an incredible Le Creuset Roasting Pan! I will draw the winner next Monday, November 1st so please get your entries in by Sunday, October 31, 2010 11:59 pm EST. I love making individual mac and cheese. Thanksgiving meatballs sound awesome! That sounds like a fantastic adventure in making nice edible foods! and my holiday disaster: ok so not so much a disaster as an entertaining story, both my parents and BF's oparents were visiting and cooking a turkey seemed like the smartest way to feed everyone (except it was a twenty pound bird and i had no a)roasting pan, b) no roasting rack and c) i was totally out of parchment. the bird was stuck to the bottom of the tinfoil pan. It took four adults to get the stupid thing out and on the serving platter. Very entertaining to watch I am sure, well BF thought so - he took pictures! When I was little, I was in charge of Pecan Pies at Thanksgiving. In my excitement, I used 3 cups of rum, instead of 3 tablespoons. I still get made fun of. YUM everything looks awesome. The first time Hubby and I hosted Thanksgiving was in 2005. We had no idea what we were doing and were on our phones with our parents all night the day before to prep everything for the big meal. Everything turned out ok, but it sure was stressful. Now, we're much better at party planning and execution. Hmm... last New Year's Eve, I had some really close friends over and threw a small party but could really go all out with the food... like a blood orange and green bean salad, veal sliders, tomato-feta-artichoke bruschetta, etc. I'm like you in that I think food is one of the most important parts of any gathering. And would you believe I really don't have a nice roasting pan? This post officially sweeps away the mid season, hang on to the last of summer meals and gets me ready for winter menus. Thanks! Success: Christmas dinners at my Aunt and Uncle's feature a different international theme each year. What a great way to teach kids (and adults! ), try new dishes, plus the great decorating ideas. This tradition started 20 years ago. Thanks to the internet, it's easier than ever to do. My very first Thanksgiving with my then-boyfriend was the first time I'd cooked a turkey. I was 19, and it was my first one-on-one exposure to the ordeal of figuring out all the details -- I'd never cooked one before. All turned out remarkably smooth, except we all had a good laugh when we discovered a cooked bag of giblets still in the cavity of the turkey! (Can I blame my mom's lack of cooking lessons?) Fun memories! This is such a great giveaway! In college, my roommates and I started the tradition of a classy holiday party - it was pot-luck style, and everyone had to dress up. To this day, we still all get together every year and have the holiday party, despite living across the U.S.! I, like, Meghan, don't have a good roasting pan either! The shock! My favorite holiday *new* tradition is Canadian Thanksgiving. Since my husband was lovely enough to leave Canada and move here to New England, I wanted to keep the holiday traditions for him. Canadian Tgiving is every U.S. Columbus Day weekend. So it's now become a massive event for my family and our friends. Everyone crowds around our little dining room table and takes part in the huge feast (which is everything we have for U.S. Thanksgiving)with plenty of wine (including one we call "Turkey Wine" - it's called "Evolution". It's amazing how our U.S. family and friends have embraced the holiday and I get to bring a little bit of home to my husband! One year at Thanksgiving I wanted to make a pan of Scalloped Potatoes. We'd always had them as kids and I knew my sibs would love them. I had a huge pan ready to go, but after almost two hours in the oven, they were watery and mushy, not the thick and delicious spuds from our youth. I have no clue what I did wrong, but I never attempted them again. I so long for those yummy, creamy and soft potatoes!! Just found this blog, look forward to reading all your posts! As matron of honor, I was in charge of the menu and food for my friend's wedding shower of about 40 people, held inside a house. This was my first time doing something like this. Planning a buffet menu for a large crowd and doing the cooking is hard work! I got more help than I needed and we ended up with way more food than necessary. It put a big dent in my wallet! People will always remember good food, so in the end it was worth it, and certainly, a learning experience. During the first year that CK and I were dating his family threw his uncle a 50th birthday party. At one point we ran out of a certain appetizer and I offered to run downstairs and fetch more. On my way back up I stopped to chat with CK's aunt for a moment and before I knew it the tray of appetizers shifted in my hand and I dropped them all over her shoes and the floor. I was completely mortified. Obviously this is a good illustration for why I was never a waitress. Last Christmas I, the raised-kosher Jew, subbed in the kitchen for my MIL, who was ill. Roast pork loin? No prob! Shrimp scampi? Absolutely! It was fun to play with foods I'd never cooked before, even though I was afraid everything would turn out awful. The family ate it with gusto, so I'm pretty sure I passed. A few years ago I hosted my very first Thanksgiving in my little Boston apartment. My mom, sister, grandma, and two aunts made the trek up from Delaware and New Jersey, and everything seemed to be going very well until my mom offered to take the rest of the turkey meat off of the carcass before putting the leftovers in the fridge. I thought I had nailed it, but I had failed to realize that their were two bags of giblets, not just one, in the turkey, and one of the bags got cooked with the bird. Oopss! My greatest success or failure is yet to come! I am planning on cooking a full thanksgiving dinner this year in my little Boston apartment. YIKES. While i love entertaining, this is a huge undertaking for me! I hope it goes well! Those turkey meatballs could be an amazing use of leftovers....they look great. Thanksgiving itself is my favorite holiday! I go to my parents every year for Thanksgiving and every year, without fail, my Dad and I fight over who gets to cook what. I always end up with mashed potatoes and carrots. I don't know how that works out, but it does! Great contest, you must love reading all of these responses! Last year we hosted Thanksgiving for my hubby's family. It was the first time in a very long time that his aunt didn't host the holiday meal. I cooked most of the meal, and the hubby's cousins wanted to make something to bring for dinner too. His cousin had worked with Martha Stewart's radio show on Sirius Radio and helped promote her Thanksgiving cookbook. He picked out a Brussels sprouts recipe with bacon that he wanted to make. I should note that half the party doesn't eat pork and his sister is a strict vegetarian. But he worked really hard to put together the dish a la Martha and brought it over for dinner. I had the oven going and was heating dishes to put out on the buffet. His dish needed to be heated, so I asked him, "Should I put the whole thing in?" He replied, "Yeah, the whole thing." So I put the tupperware into the oven to warm and continued my prep. When I went to check on the dishes in the oven, something wasn't right. Well, the lid to the tupperware had melted into hot molten plastic.... Needless to say, the Brussels sprouts were inedible....with a hardened crust of plastic on top. And everything we baked for two weeks tasted like melted plastic.